Medical malpractice occurs when a patient is harmed by a doctor (or medical professional) who fails to competently perform his or her medical duties. Over 16 years ago, the personal injury law office of Rob Levine & Associates opened for business in Rhode Island. Since then, head attorney Rob Levine has become known to have one of the most aggressive approaches to personal injury litigation in the tri-state area. It’s this willpower that has earned Levine the title of “THE HEAVY HITTER ®” in Rhode Island, Massachusetts, Connecticut and beyond. Now, several other locations have opened, serving clients locally, not only Providence but also Boston, Fall River, Hartford, New Haven but also nationally. The overall success of his law firms has allowed Rob to also become one of the most appreciated philanthropists in the community. When you’re looking for an experienced personal injury lawyer with proficiency, recognition, and determination – get The Heavy Hitter ®. Accidents and unintentional injuries occur every day within the United States. While some of these accidents are insignificant or cause very minor harm (such as bumping into a door and receiving a mild bruise), other injuries and accidents are severe, resulting in long-term complications, permanent injury or even death. In fact, the Centers for Disease Control and Prevention reports that in 2010, there were 29.3 million emergency room visits for unintentional injuries in the United States! 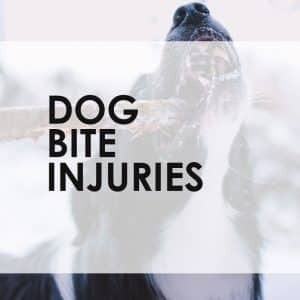 Furthermore, about 17,000 annual injuries are from slip and falls, 800,000 are from dog bites, and a whopping 3,000,000 are due to automobile accidents. Have you suffered from one of these examples of personal injury? Call a lawyer for a full assessment of your case. If you have been involved in an accident and sustained a personal injury, you may be entitled to compensation from the parties responsible. A personal injury lawyer from the law office of Rob Levine & Associates can help you understand your rights and assist you in filing a claim today. Your consultation is confidential, easy and free. When you do call, a personal injury lawyer will discuss the facts of your case with you. A wide range of personal injury case types can be handled by an attorney, including premises liability, motor vehicle accidents, drug recalls and much more. With any one of these issues, the special laws can get complicated, but the Heavy Hitter ® is ready to handle it all. Indeed, one of the biggest obstacles that you can face in personal injury situation is dealing with the insurance company. We are on your side to fight for the compensation you deserve from the insurance company. Contact us today for your free consultation. An experienced personal injury attorney is a critical aspect of pursuing a claim against the person or party that caused your injury. Not only is an attorney familiar with the law, they can help you with any legal specifics of your case. A lawyer is also a great resource for addressing questions about what types of compensation you may be eligible to receive and explaining how to approach your personal injury claim altogether. Our dedicated team of lawyers and their supporting staff handle all the work for you – so you can relax and focus on healing. Personal injury cases have a statute of limitations, and most of them are between two and four years, depending upon the state in which you reside. As such, it’s of the utmost importance that you consult an attorney today to start filing your claim immediately. If you’ve been injured in the Providence, Boston, Fall River, Hartford or New Haven area, we have a local attorney ready to step up to bat for you against the insurance companies. Attorney Rob Levine has made it his priority is to make sure the local community has access to the legal help they need when someones negligence causes serious accidents. Rob and his team can often be found supporting local community events like charity walks and sports teams in Providence, Boston, Fall River, Hartford, and New Haven. During the week, we’re at Rob Levine & Associates on Douglas Avenue, meeting with local clients. Our office is located between Ceres and Alicant St, just a few blocks from Providence College. Get exact directions by clicking here. Can’t travel due to your injuries? Whether you live one block or one hour away, we’ll come to you! Our Providence office is one of seven locations throughout Rhode Island, Massachusetts, and Connecticut. Contact us today and let an experienced personal injury lawyer help at (800) 742-3920. After suffering serious injuries in a car accident, you will face a number of physical, emotional and financial challenges during your recovery. Add to this the frustration of navigating the auto insurance claims process blindly. If you’re one of the 8.6 million American workers who are unable to work because of a physical or psychological condition, you may be eligible for Social Security Disability Insurance (SSDI) and/or Supplemental Security Income. Rob Levine and Associates are proud to offer you our holiday safe driving program. 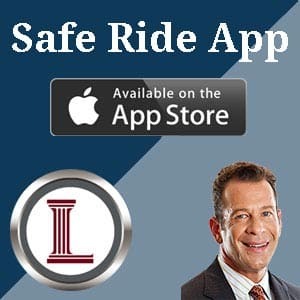 Download our app at Apple, so if you have been drinking and are under the weather, we offer you a free taxi ride home on certain holidays and special occasions. On holidays and special occasions, if you have been drinking too much to drive, Rob Levine and Associates are proud to offer you our holiday safe driving program. For more information, download our app at Google Play. "I cannot express how stressful and anxious I was dealing with the VA regarding my disability claim and appeal. I took a chance and decided to hire a lawyer prior to throwing my hands up in the air due to the pure frustration I was experiencing. Kelsey Craveiro's calm and empathetic demeanor offered emotional support and the encouragement I needed in pushing forward with my appeals process. She listened to my concerns, asked the right questions of me, explained the process, and displayed the confidence I was looking for. She responded to every email I sent and provided answers to all concerns or questions I had. She provided excellent service, demonstrating professionalism and personal attention to all details. She possesses the qualities you would want in an attorney such as intelligence, competence, efficiency, and professionalism. I cannot say enough about this woman. She listened patiently to my story which involved extremely personal and sensitive issues I have been facing. She performs her job with due diligence and a high level of respect. I am eternally grateful for everything she has done for me. I would recommend Kelsey Craveiro without reservation." "Nexus was at the center of my appeal to the VA, and thanks to Attorney Kailey Wildenhain, the Board of Veterans’ Appeals found that a disabling illness that occurred after my military service (1963-1965) was caused by that military service. The Board made its ruling in 2018, almost 30 years after my first filing. VA appeals, that have reached the point where an attorney is authorized, require that those attorneys have multiple professional talents. Among them are (1) a solid understanding of the changing legal system within which the VA operates, (2) a wise understanding of how the VA staff operates, and (3) the ability to re-craft your appeal to your best advantage, under the current circumstances. Attorney Kailey Wildenhain meets that triple challenge and submits a persuasive appeal document, which both educates and persuades her colleagues at the VA as they find the most appropriate support for her veteran client. At the same time she works with her client to learn more about the appeal, and prepare the client for any role that might need to play in the process. She then closely monitors your appeal, as it moves through the VA system, and takes every opportunity to submit additional explanatory or persuasive material. Attorney Kailey Wildenhain is a pleasure to work with, and can be counted on for the highest levels of preparation, attention, and creativity. A results orientated professional, she works well with others, and can be counted on to get the job done." "I had never imagined that I would be the victim of a head-on collision. Furthermore, I had never planned what steps that I would take after being involved in a car accident. I invested my trust in Rob Levine and Associates to handle my case and I am truly grateful for my experience. The accident occurred in May of 2017. Kalin had worked with me throughout the entire length of the process. She was very professional, compassionate and attentive to all of my needs. With her guidance, I was able to receive the proper diagnosis from physical therapy, neurologist appointments, and facial reconstruction consultations. My health and physical well-being were my utmost priority and she did not dismiss any of my concerns. Kalin’s consistent presence throughout this process assured me that she was personally invested in seeing me receive the best care and financial compensation from this incident. Aside from my health, Kalin’s comprehension of the law and my case had allowed me to receive the most out of my settlement with the other driver and also my insurance company. It took a true professional to deliver these results. While I pray to never be involved in another accident, I at least have the peace of mind of knowing that I can rely on Rob Levine and Associates to perform at the highest level of legal counsel. Thank you Rob and Kalin!" "Travis came to my house a while ago due to an accident within our family and he was able to simplify the process for us because we have never had an accident and we have no idea where to start. He seemed very knowledgeable and we feel like a burden has been lifted."